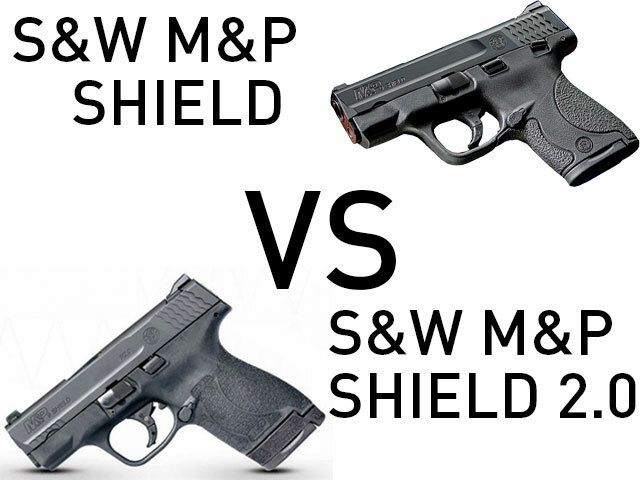 Home Gun News The M&P Shield vs. M&P Shield M2.0, Which Should You Get? Since Smith and Wesson has begun rolling out their 2.0 line of the M&P pistols, some people have begun wondering if the new model is going to be better than the old one. Hence, some folks will find themselves pondering whether they should get the M&P Shield vs. M&P Shield M2.0? Are the differences in the M2.0 pistols SO much greater that they’re worth more money?! Well, the differences are so slight that on paper they kind of aren’t, at least if you’d have to pay more for the M2.0 Shield vs the regular Shield. The M2.0 series is really what the automotive industry calls a “refresh” or a “facelift,” when a particular make and model car gets a slight revision at a certain point in the product cycle. There are some little differences, but it’s basically the same car. What are those differences? We’ll get into that, so let’s talk about whether you should get the Shield M2.0 vs. the original Shield. What’s New On The Shield M2.0? 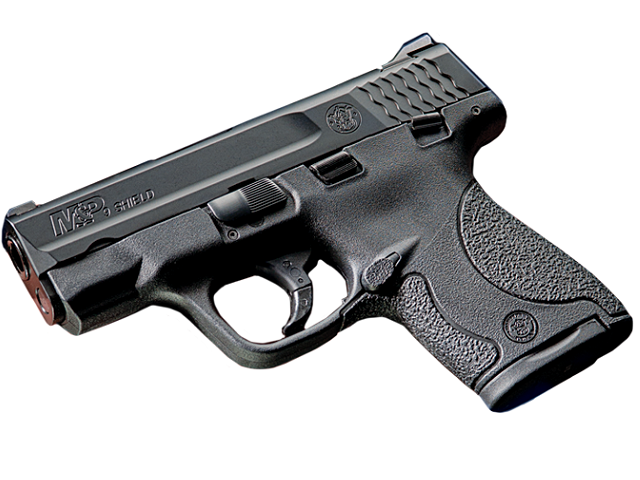 For those unaware, the Shield – and, of course, the M&P Shield M2.0 – is a single-stack subcompact poly-striker pistol. It’s pretty bare-bones, but the factory gives you a good number of options. You can choose models with or without a manual safety. You can upgrade the sights, there are Performance Center models…they even offer a few with lasers. The Shield M2.0 is currently offered in 9mm and .40 caliber. After about 10 years, this gun has practically become an institution among carry guns. 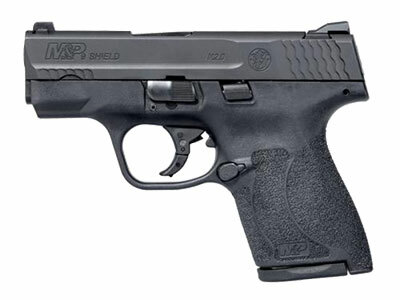 Smith and Wesson created the M2.0 series of their M&P poly striker guns with some improvements. What are those improvements? The M2.0 has a refined trigger, for a smoother pull, crisper break and a more audible, more tactile reset. Otherwise, it’s the same hinged striker trigger and integrated trigger safety. The grip stipling has been changed also, to give the shooter a better grip on the pistol. It’s a bit rougher, almost sand-paper like. This gives you better purchase when gripping the pistol. The machining on the slide is a bit different, with a softer bevel on the slide and some fishscale serrations toward the end of the slide. This is for better purchase for press-checking. Other than that…literally everything else is the same. CHECK OUT OUR S&W M&P SHIELD 9MM M2.0 HOLSTERS! The original Shield is one of the most popular concealed carry pistols on the market; we here at Alien Gear sell Shield holsters practically by the truckload. Well, it’s about perfect. The manual of arms is easy to learn, even with the optional manual safety. They shoot very well despite their compact size, and accurately. You can choose between the Shield 9, Shield 40 or Shield 45, if you don’t mind a tad bigger gun to shoot .45 ACP. 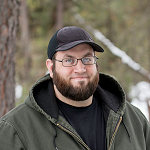 (The 2.0 is only in 9mm and .40 S&W…for now.) There are a whole bunch of factory options to upgrade to and amazing aftermarket support. The basic measurements are as follows: barrel length is 3.1 inches. The gun stands 4.6 inches tall, 0.95 inches wide and is 6.1 inches long. (The M2.0 is the same.) Capacity is 7 or 8 rounds of 9mm, depending on the magazine (there’s a flush-fit and extended) which is reduced by one round if you carry the .40 S&W version, and by one more if you go up to the Shield 45. It weighs 20.3 ounces unloaded, though the M2.0 is 2 ounces lighter. The base model comes with 3-dot sights. At the moment, the base M&P9 Shield retails for $449, and the M2.0 for $479. You’ll find them for way less in stores; $100 or more off the MSRP is not uncommon at all. CHECK OUT OUR S&W M&P SHIELD 9MM HOLSTERS! So here’s the thing: you’ll probably like the Smith and Wesson M&P Shield M2.0 a little better if you’re a bit of a nitpicker. It’s isn’t a bad thing, necessarily; people like what they like, and given that a gun costs hundreds of dollars, you should get what you want. Thing about picking between the Shield vs. Shield M2.0 is that the Shield 2.0 isn’t an enormous leap forward. It’s more that a few details have been kind of improved. Other than that, it’s the same gun and only costs an extra $30. What’s going to tilt you toward one or the other? On paper…nothing. The differences are incremental at best. What will make the difference is if one feels better to you, or shoots a little better. That’s going to be the kicker, so be sure to handle and shoot both, if possible. The one you like better is the one to acquire. The ShapeShift Core Carry Pack is currently available for the original Shield in 9mm and .40 caliber, and for both flavors of the M2.0. Springfield Armory® SAINT™ Edge Pistol — The Holy Grail of AR Platforms?